In 2015, 13.9 million small businesses in the U.S. had corporate credit card accounts. While this number pales in comparison to the total number of credit cards in circulation at 4 percent, corporate credit card purchases accounted for one dollar out of every six that was spent, or nearly 17 percent. A corporate credit card is a card that is only available to businesses. Like other types of credit cards, a corporate credit card is linked to a line of credit. When purchases are made with the card, the card issuer is loaning the money to buy the items or to make the payments. Balances that are carried over from month to month can cause the business’s debts to increase and incur high-interest charges. How do I use a corporate credit card, and what am I allowed to buy? A corporate credit card can be used to separate your personal expenses from your business expenses. It is important that you avoid using a personal credit card to buy things for your company. If you do, you run the risk of exposing your personal assets to liability by piercing the corporate veil. You can use a corporate credit card to purchase anything that is business-related. For example, you might use your card to buy fuel while you are traveling for your business, to buy supplies for your office, or to attend a business lunch with your clients. Who uses corporate credit cards? Businesses of all sizes use credit cards to give them easy access to money for payments and purchases. Businesses also use credit cards to help them to track their expenses more easily. When purchases are made, the data is recorded, allowing for greater spending transparency. Many businesses give their employees their own business credit cards to use. The employees are then able to charge items for the company instead of paying for them with their own money or waiting for a check to be issued. This can help businesses to save money that would otherwise be spent on the transaction costs of day-to-day purchases. Corporate cards are a subset of business credit cards and are generally used by large companies. How does a corporate credit card work? Corporate cards fall into two primary categories and are issued by only a few card issuers. The cards may either be company payment or individual payment cards. With company payment cards, the business pays for all of the charges that are made with the cards. Individual corporate cards are cards that are issued to specific employees. The employees must submit expense reports to their employers and are responsible for making the payments to the card issuer directly. Both types of cards are meant to be used according to the company policies that have been established for them. Why would someone want to use a corporate credit card? Corporate cards that are credit cards offer several perks to employees. If the cards are company cards, the employees will not have to use their own money to make payments. Some corporate cards also generate expense reports electronically and prepopulate the transaction data into the reports. In larger companies, the employees may be able to keep the rewards that they earn from using the cards. The cards may allow people to earn miles or offer them other perks. However, some companies do not let their employees keep the rewards that they earn with the cards. A corporate debit card is another option that companies might want to consider. These cards may be used in the same manner as credit cards are used. However, purchases that are made with the cards are subtracted from the company’s account balance rather than adding to the company’s debt. Corporate debit cards help to avoid some of the pitfalls that can come with using corporate credit to make purchases. Unlike individual corporate payment cards that use credit, employees do not have to submit expense reports and wait for reimbursements. 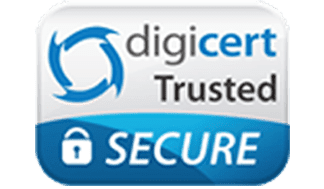 There is also less risk for the company for unauthorized purchases and fewer issues with intermingling personal and business expenses. What is expense management, and why should your company be on top of it? A business’s expense management is the process that it uses to handle expenses that are initiated by its employees. Expense management includes expense policies and the manner in which the company processes and approves purchases. Having strong controls in place is crucial for businesses. Without good technologies in place, companies may find that their expenses swell. Good expense management may help companies to keep their expenses under control and help them to identify employee fraud early. Companies that do not stay on top of their expenses may suffer losses that could harm them. In its 2018 Report to the Nations, the Association of Certified Fraud Examiners reported that small companies suffered median losses of $200,000 in fraud incidents that were investigated as compared to the $104,000 median losses that were suffered by companies employing 100 or more people. This is because small businesses often do not have good expense management and spending controls in place. Using a corporate debit card instead of a corporate credit card can help to reduce the risk of fraud. These cards allow you to exercise substantial control of the funds that are available on each card and where the cards can be used. The Bento for Business Visa debit cards allow you to preselect expense categories and restrict your employees’ ability to purchase anything that you have not authorized. You can turn off individual cards within minutes from your online dashboard by tapping a button if a card is misused or lost. Bento for Business offers one of the best solutions to the spending needs of businesses. The Bento for Business Visa debit cards offer robust controls so that you can control what your employees are able to purchase and when they are able to use the Bento cards. You can turn the Bento cards off when your employees are not working and set spending limits by the day or week. 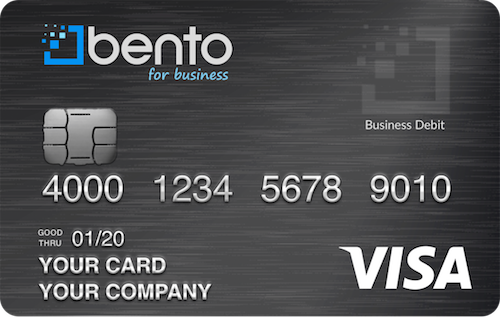 Bento for Business offers multiple packages so that you can choose the number of cards that will work for your company. There is a 60-day free trial that allows you to try the cards to see how they might work for you. To learn more, call us at 866.220.8455 or schedule a live demo to see how they work.